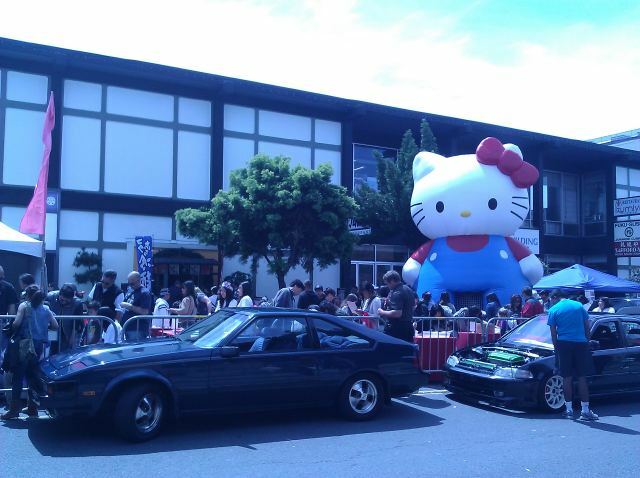 Hello Kitty was everywhere at this year's Cherry Blossom Festival in San Francisco's Japantown. On the official t-shirt, towering over the car show, and all over the place indoors too. I'm a big fan of hers, so this was a good thing. The festival was, as always, a good excuse to wander around the Japantown shops. And thanks to the festivities, there were more goth lolitas than usual in New People and its vicinity, which made for fun people watching. 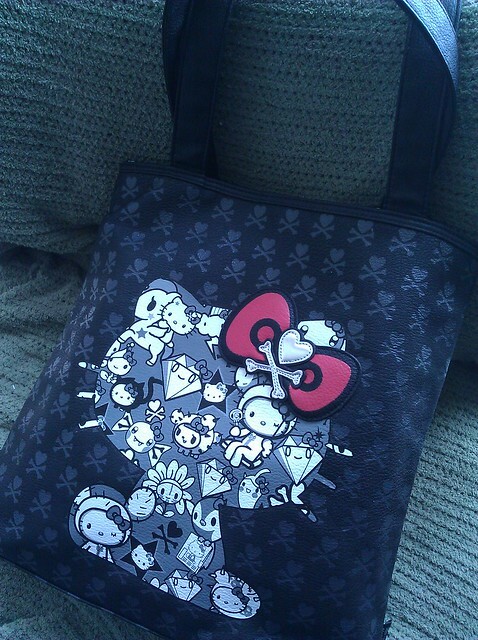 …and I couldn't resist this awesome, over-the-top, Tokidoki Hello Kitty bag. I tried. I really did. OK, maybe not *too* hard. I'm actually starting to get a nice little Tokidoki collection going. I suppose it is a little bit much for every day use. 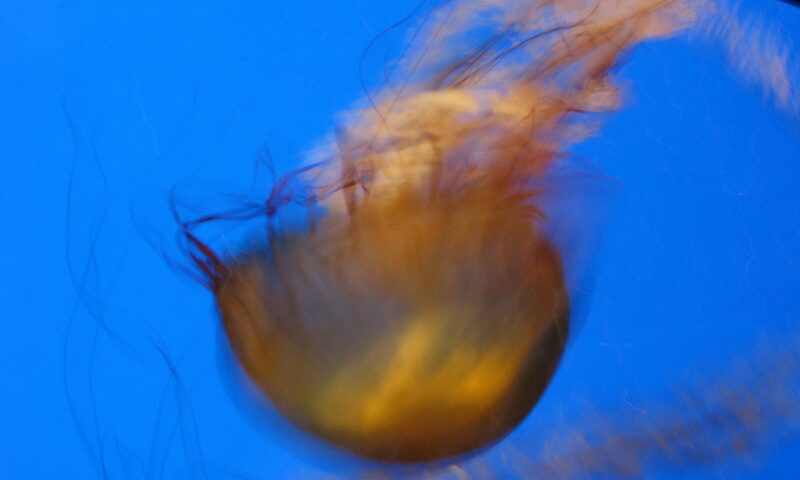 But sometimes, isn't it nice to be just a little too much? I also picked up some gorgeous letterpress cards at Kinokinoya stationary shop, plus some supplies for future crafty projects. And at the bookstore, looking at all the kooky cat picture books, I plotted some craft projects to keep my furry little monsters occupied with some handmade kitty toys. Just another fabulous weekend day in San Francisco.